Kelly Luce's Pull Me Under "is a suspense novel with a female protagonist that gets more right about women than so many others I've read in the past few years" (NPR). Luce tells the story of Rio Silvestri, who, when she was twelve years old, fatally stabbed a school bully. Rio, born Chizuru Akitani, is the Japanese American daughter of the revered violinist Hiro Akitani—a Living National Treasure in Japan and a man Rio hasn’t spoken to since she left her home country for the United States (and a new identity) after her violent crime. Her father’s death, along with a mysterious package that arrives on her doorstep in Boulder, Colorado, spurs her to return to Japan for the first time in twenty years. There she is forced to confront her past in ways she never imagined, pushing herself, her relationships with her husband and daughter, and her own sense of who she is to the brink. 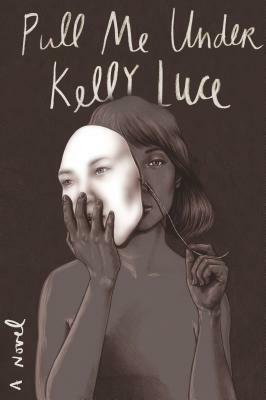 Kelly Luce is the author of the short-story collection Three Scenarios in Which Hana Sasaki Grows a Tail, which won Foreword Reviews's 2013 Editor's Choice Prize for Fiction. A native of Illinois, she holds a degree in cognitive science from Northwestern University and an MFA from the Michener Center for Writers at the University of Texas at Austin. She is a fellow at Harvard's Radcliffe Institute for Advanced Study and a contributing editor for Electric Literature. She lives in California's Santa Cruz Mountains.